Disclaimer: I received a free review copy of this book at ALA Annual 2014. All quotes are on an uncorrected text. Eighteen-year-old Darcy Patel is living her dream come true. She has sold her first novel, written during National Novel Writing Month (NaNoWriMo), to a major New York publisher in a six figure, two book deal. Now she can afford to defer university, and move to New York to pursue her writing career, despite her parents’ objections. On the flipside is seventeen-year-old Lizzie Scofield, Darcy’s protagonist. After a near-death experience during a terrorist attack on an airport, Lizzie, the sole survivor, discovers that she can cross over into the afterworld, and see the dead. There she meets Yamaraj, who shares her powers, but crossed over from the mortal world more than three thousand years ago. As Darcy adjusts to her new life in New York City, she revises Afterworlds for publication, shaping Lizzie’s fate. Afterworlds is a novel about writing a novel, and it proves interesting to read about Darcy’s experience as a debut novelist going through the difficult process of revising her first book, particularly after her publisher asks her to change the ending. This part of the story will speak strongly to writers, librarians, book bloggers, and other people invested in books and publishing. In New York, Darcy finds a community of fellow writers, who become friends, mentors, and romantic interests. Her intense, complicated relationship with Imogen, a fellow YA writer five years her senior, is a highlight of the book. They share the highs of writing and exploring New York together, but also fight and disagree, and work out their problems. Darcy and Imogen have amazing chemistry, something that was utterly lacking on the flipside between Lizzie and Yama. The parallel narrative written by Darcy is a little bit more difficult to judge. Lizzie’s sections certainly feel as if they were written by an immature novelist, which speaks well of Scott Westerfeld’s skill at constructing his narrative conceit, but made those sections a bit tiresome to read, since they take up half the book. Lizzie’s POV just didn’t have “the juice” that Darcy and Imogen talk about when they discuss writing, though it was a great concept. This is somewhat distracting when the reader is supposed to believe that Darcy is a talented novelist with enough potential to earn a six figure advance, but not a deal-breaker for the story. In parallel stories, it is normal to expect a twist, or a crossover, but that isn’t forthcoming in Afterworlds. It is simply two stories, told in alternating chapters, pulling the reader from one storyline to the other. They are connected only by the fact that the protagonist of one story wrote the other. Occasionally we see glimmers of Darcy’s life, conversations, and epiphanies in her book, but mostly the two plotlines remain at a distance from one another. Parallel narratives are really about how the writer brings them together or plays them off one another, and Westerfeld does so only in the most minimal ways, letting Darcy’s real life growth and experience show in her writing. More interesting exercise than compelling narrative, Afterworlds will nevertheless appeal to bookish sorts as a fun and unique look at the writing life. Afterworlds by Scott Westerfeld. Uglies author Scott Westerfeld is back this fall with a meta-novel that tells two intertwined stories. Darcy Patel puts her post-secondary education on hold and moves to New York in order to focus on publishing her teen novel. She doesn’t know anybody, and has no place to live, but she soon finds herself caught up in a community of writers. Interspersed with her story is that of Lizzie, the protagonist of her novel, who slips into the Afterworld–a place between life and death–to survive a terrorist attack. Available September 23, 2014. 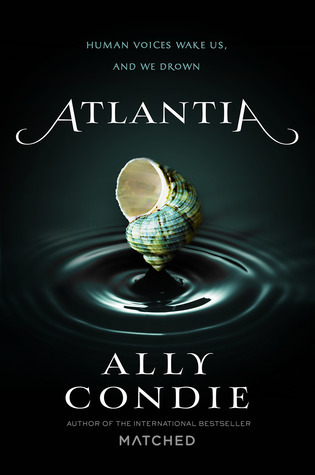 Atlantia by Ally Condie. Known for her dystopian trilogy Matched, Crossed, and Reached, Ally Condie returns in October with a new dystopian world that recalls elements of the legend of Atlantis, and The Little Mermaid. The world has been Divided between those who live Below in the city of Atlantia, where they enjoy health and longevity, while those who live in the polluted Above make a sacrifice in order to ensure the survival of mankind beneath the waves. Rio has always dreamed of living Above, but after their mother died, she promised her twin sister, Bay, she wouldn’t leave her. Then Bay betrays her, causing Rio to reveal a secret she has kept all her life. On sale October 28, 2014. A Thousand Pieces of You by Claudia Gray. 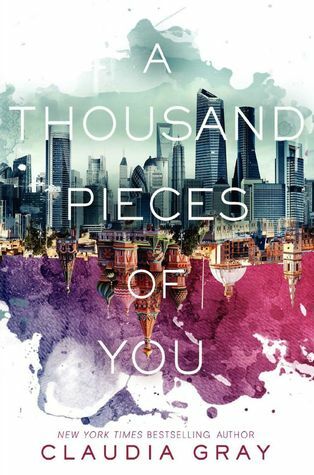 Ahead of the Spring 2015 release of the conclusion to her Spellcaster trilogy, Claudia Gray begins a new series with A Thousand Pieces of You. Marguerite Caine is the daughter of two brilliant scientists, creators of the Firebird, an invention which allows people to travel to parallel universes. When Marguerite’s father is murdered by his assistant, who then escapes into another dimension, only Marguerite is prepared to go after the killer, chasing him across worlds. Coming November 4, 2014. The Young Elites by Marie Lu. Adelina Amouterou is a rare survivor of the blood fever that decimated her generation a decade ago, leaving her scarred and deformed, an abomination in her father’s eyes. But rumours continue quietly circulating that some of the survivors have been left not just with scars, but unusual gifts. It is a top secret race between the Dagger Society to recruit these special survivors, and the Inquisition Axis, which seeks to eliminate them. 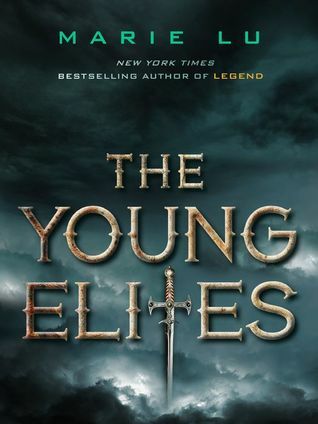 Marie Lu, author of the bestselling Legend trilogy, returns with The Young Elite on October 7, 2014. Check back next week for part two of the YA fall fiction preview, which will focus on more contemporary/realistic YA fiction. Almost-sixteen-year-old Tally is lonely and tired of waiting for her birthday. All her friends have already had their birthdays and undergone the operation that turns them from repulsive Uglies into stunning Pretties. Tally is stuck alone in Uglyville, while all her friends are partying and having the time of their lives in New Pretty Town. But Tally still has three months to wait, and the summer seems interminable until Tally meets Shay, another Ugly with a September birthday. Tally thought that as a senior Ugly she knew all the tricks, but Shay is even more adventurous than Tally. Tally is relieved that she finally has someone to keep her company, and a friend who will eventually share the experience of being a New Pretty with her. But Shay isn’t sure she wants to become a Pretty and, unlike Tally, she knows how to get out of the city. When Shay runs away to join the Smoke, a rebel community that rejects the operation, Tally is faced with a terrible choice between betraying her friend, and never becoming Pretty. Uglies is a dystopian novel, and the ostensible purpose of the surgery is that making everyone equally beautiful creates equality of opportunity—no one can be biased towards beautiful people if everyone is gorgeous. Of course, as Shay points out, that also means everyone is the same, and that’s boring. 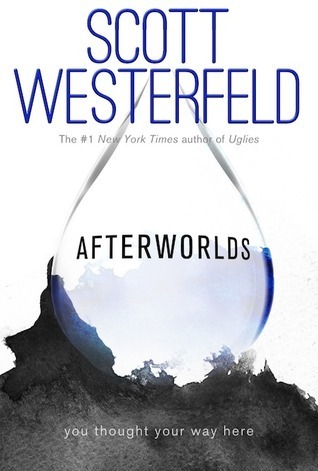 This sounds like a relatively weak premise to build an entire society around, but Westerfeld manages to bring the world to life in convincing detail. By taking modern preoccupations with beauty and popularity to hyperbolic extremes, Westerfeld creates an interesting commentary on friendship, conformity and cultural programming. Tally wants desperately to be an insider, but she is constantly forced to consider the implications of her choices for those around her. Like many YA stories, the romance of Uglies revolves around a love triangle; both Tally and Shay are interested in the same boy, and although Shay met him first, he seems more interested in Tally. The MFF configuration is unusual, but so is Westerfeld’s focus on the impact that the triangle has on the girls’ friendship. In MMF triangles, the boys are typically rivals who can’t stand one another, so there is no friendship at stake. This additional interpersonal element makes the triangle as used here less of a tired YA trope. We become more concerned about whether the love interest will drive Tally and Shay apart than about who will get the guy. Uglies follows a somewhat predictable and heavy-handed plot arc packed with some cliché actions sequences supported by futuristic tech, but it also deals with an array of complex ethical concerns. From the beginning, Tally faces a set of difficult choices which force her to weigh her own interests and beliefs against those of others. Shay and Tally provide an interesting study in contrasts about the different ways of perceiving the ethics of this dystopian future. The moral ground continually shifts beneath the characters’ feet, as more information about the futuristic society is revealed. Through the medical nature of the Pretty operation, Westerfeld even introduces the concept of informed consent in scientific research, which is hardly typical fare for YA lit. In dystopian stories, it can be all too easy for authors to create righteous rebellions and straw-man villains. In my review of Reached, I praised Ally Condie for creating a dystopian world that acknowledges grey areas, and Westerfeld deserves similar accolades for putting characters in situations with no obvious right choice, and carefully examining the consequences.